The status of Tyreek Hill with the Kansas City Chiefs remains something of a mystery. But for now, coach Andy Reid assumes it’s business as usual. James Palmer of the NFL Network noted that Hill did report to the offseason workouts, as was expected. He also reported Reid saying that the team is operating as though Hill be a part of it in 2019. A few notes from the Chiefs: Mahomes thought he had lazy feet at times last season. A big focus for him this offseason. 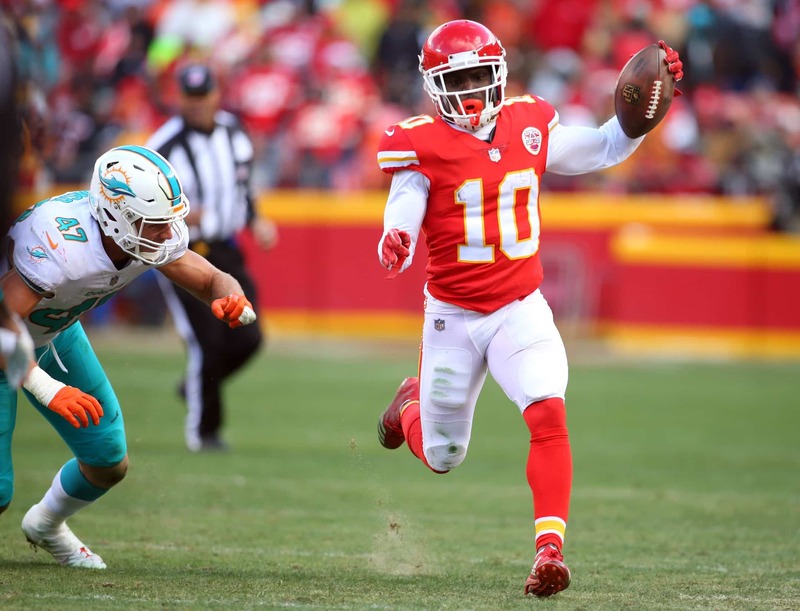 Reid says full steam ahead as if Tyreek Hill will be a part of the team in 2019 as they wait in uncertainly. (Hill did report today). Hill is presently under investigation for incidents of alleged child abuse that took place at his home. The investigation has made his status for the 2019 season something of a mystery. On the field, Hill would be nearly impossible to replace. In 2018, he caught 87 passes for 1,479 yards with 12 touchdowns, which were all career highs. He also rushed the ball 22 times for 151 yards with a touchdown and added 20 punt returns for 213 yards with another score.